It is always sad to report the death of a talented historian, especially one as young as Ewen Green, whosed death at the age of 47 of multiple sclerosis has just been reported. Dr Green has been a remarkable historian of the Conservative Party in the twentieth century, starting with "The Crisis of Conservatism", published in 1995. This was followed by "Idologies of Conservatism" in 2002 and the very recent short biography of Margaret Thatcher. In a sense, it completes a trilogy. The first book looked at Edwardian politics through Thatcherite spectacles, detecting the emergence of a radical strain of Conservatism. After the variations developed in the second, the final book suggests that, in the perspective of history, Thatcherism itself was not quite as novel as it first seemed. His originality lay in seeing there had been too much concentration on the ideas and politics of the left in 20th-century Britain, probably because many historians were themselves left of centre. He saw that the response of the right was in need of proper investigation, especially by historians who were not of the right themselves. His whole career revolved around the paradox that he became the most stimulating historian of the 20th-century Conservative party without ever being tempted to vote for it. We expect numerous comments on whether Dr Green was, indeed, "the most stimulating historian of the 20th-century Conservative party". The intriguing story of George Blake, one of the most successful Soviet spies, being awarded £4,690 by the European Court of Human Rights because the Attorney General had taken too long to bring about the government’s action against Blake to prevent him from profiting by his treachery brings back all kinds of memories of the Cold War. But above all, it raises problems of the naming of matters. The Daily Telegraph has two articles on the subject, one by Joshua Rozenberg on the legal side of the decision and the other one by Phillip Knightley, a brief summary of Blake’s career. Both the articles refer to Blake as a double agent. Now, the truth is that there is no such thing as a double agent. There are, or have been in the past, people who will spy for the highest bidder and may, therefore, spy for several countries and organizations simultaneously. But in the world of ordinary espionage there is but one true employer. Blake was a Soviet agent who pretended to be a British Intelligence officer, the better to carry out his work for his real paymasters and ideological controllers. He was also a man responsible for numerous deaths of Soviet officers whom he had tried to persuade to defect to the West. Curiously enough, Mr Knightley describes the operation that was set up in Berlin but does not mention what might have happened to the unfortunate victims of the KGB-run sting operation. That brings me to another problem of vocabulary: who is an agent and who is a spy? It used to be really easy to define: our people were agents, theirs were spies. Any film of the thirties, forties or fifties will tell you that. There was the odd complication, as one can see in the novels of Buchan, for example, or Erskine Childers’ “Riddle of the Sands” about the distinction between those who spied for their country and could, therefore, be called German agents, and those who spied for Germany, though they were British. The latter were clearly spies and traitors. This distinction between agent and spy exists in most countries and languages. It is, however, being eroded in Britain. Not only we keep talking about double agents when we really mean enemy spies but there is a curious tendency to refer to British agents as British spies (and not by the Russians, either). William Boyd’s latest book, “Restless”, for instance, centres on a seemingly ordinary elderly English lady who turns out to be Russian by birth who was a British "spy" during the war in occupied France. Undoubtedly a dangerous assignment and one that the survivor might not want to talk about subsequently. But the implication from the blurb is that the lady in question has tried to bury the truth as being shameful and traumatic while her daughter is shocked and upset when she finds out. Oh really? 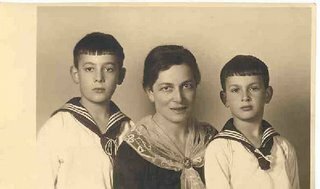 Most people are rather intrigued and not a little proud if they find out that their parents were British agents fighting the Nazis during the war. On the other hand, according to Mr Boyd those agents were really spies and, therefore, morally dubious. Much depends on the name. Tory Historian is one of those thousands who studied the Tudors’nStuarts for A-level and is, therefore, a paid up member of “Sir Geoffrey Elton is the greatest historian ever” club. After a week of rather hard, concentrated work on various projects, a reading of the great man’s “The Practice of History” seemed in order. An admission is in order: I had no idea until I looked up Elton’s biography, that he was of a German Jewish family, which had moved to Prague before fleeing again to Britain. Another loss to Germany and gain to Britain as a result of that insane ideology. [M]ost books on history have been written by philosophers analysing historical thinking, by sociologists and historiographers analysing historians, and by the occasional historian concerned to justify his activity as a social utility. This contribution seeks to avoid the last, ignores the second, and cannot pretend to emulate the first. It embodies an assumption that the study and writing of history are justified in themselves, and reflects a suspicion that a philosophic concern with such problems as the reality of historical knowledge or the nature of historical thought only hinders the practice of history. This is a very misleading comment as far as Sir Geoffrey himself is concerned. In actual fact, he spent a great deal of time (though not as much as he did on the unravelling of the Tudor years) on thinking and writing about history, its meaning and importance. The second quotation is particularly apt in the days after the kerfuffle about Pope Benedict XVI’s extremely interesting lecture at the University of Regensburg, in which he spoke of the role of reason in religion and the “synthesis between the Greek spirit and the Christian spirit”. There is something markedly a-historical about the attitudes embedded, for instance, in the classic minds of India and China, and any history of historiography must needs concentrate on the Hellenic and Judaic roots of one major intellectual tree. No other primitive sacred writings are so firmly chronological and historical as is the Old Testament, with its express record of God at work in the fates of generations succeeding each other in time; and the Christian descendant stands alone among the religions in deriving its authority from an historical event. On the other hand, the systematic study of human affairs, past and present, began with the Greeks. Some sort of history has been studied and written everywhere, from the chronicles of Egypt and Peru to the myths of Eskimos and Polynesians, but only in the civilization which looks back to the Jews and Greeks was history ever a main concern, a teacher for the future, a basis of religion, an aid in explaining the existence and purpose of man. One could not compete with the elegance of that statement. I would put it simpler: history is studied in cultures which are based on a sense of curiosity. “What happened then?” – is a question all those who have had to deal with children know all too well. It is the first question of an historian. The Conservative History Group will be holding a fringe meeting at the Party Conference at 5pm on Monday 2 October. Lord (David) Trimble will be the guest speaker and will talk about the history of the Ulster Unionists. The meeting will be chaired by Keith Simpson MP. It is outside the secure zone and you do not need a conference pass to attend. Bear with me. These musings will be worth reading, particularly when they are turned into an article for the Journal. The theme of what is English or what is important to all the countries, Britain, America and those of the Empire and Commonwealth, understandably, preoccupied many of the film-makers. The ideas are there in straightforward war films like “In Which We Serve” – duty of service but also private affection and love of those close to one with little emotion displayed – or “The Way Forward”, which shows the birth and growth of the new, more democratic army, with even the officer, played by David Niven, being one who had risen from the ranks. The most successful if somewhat eccentric of the “what we are fighting for” films are those made by Michael Powell and Emerich Pressburger (himself a Hungarian), such as “The Life and Death of Colonel Blimp”, a strongly argued case for ordinary decency that uses the image, created by David Low and so despised by the Left, of the bumbling old-fashioned colonel, out of date in the brave new world. The film makes it clear: being out of date is not the worst thing that can happen to one, if it means adhering to old-fashioned honesty and decency. Churchill did not like the film and, I think, I can understand why. The trouble with Blimp is that he is not terribly bright, while the only highly intelligent decent man in the film is his German friend, played by Anton Walbrook, who escapes from Nazi Germany and tries, without much success, to warn his British friend of the evil that is brewing in that country. I can imagine that Churchill was not too keen on any film that perpetuated the great British assumption that intelligence is somehow bad and suspect. The Powell-Pressburger films deserve a posting all to themselves but I do need to mention their most audacious attempt to build up a picture of England as the country that is worth fighting for with the true values that needed to be carried on beyond this battle against evil: “The Canterbury Tales”. While Churchill was not very fond of “The Life and Death of Colonel Blimp” he was, predictably, enamoured with the various historical films of those years, his favourite one being “That Hamilton Woman”, which Tory Historian has never seen, despite it stellar cast. It is normal for countries to produce historical films during a war and even as one looms on the horizon. What the historical theme might be depends largely on the way that country sees itself. Most of the British ones dealt with the previous times when the country faced up to a strong enemy on the Continent, the two favourite topics being the Spanish Armada and the Napoleonic Wars. Another film Churchill was rather fond of was “The Young Mr Pitt”, also seen by Tory Historian on that Bank Holiday week-end (one to remember, clearly). Film critics, of whom Tory Historian is most definitely not one, tend to be a bit sniffy about this film. Oh dear, they say, it is so simplistic. We know so little about the reality of the political battle between Fox and Pitt. Not enough is made of the great battles won by Nelson. And, honestly, how … well, really, … how one-sided. War films do need to be simplistic to a great extent. You can’t afford to let doubts creep in when the country is at risk, as it was when “The Young Mr Pitt” was made in 1941. Unusually for Reed, the shooting and the post-production took a long time and the film was not released till 1942 by which time the United States, part of the targeted audience, was at war. If “Night Train to Munich” was a pre-Dunkirk film, this one is definitely post-Dunkirk. The mood is mostly dark, though, clearly, there are a few victories reported, notably that of the Nile and Trafalgar. Pitt, we have to remember, died when the Continental menace still loomed large. “The Young Mr Pitt” is a remarkably skilful film, with quick episodes following one another to give an impression of the great prime minister’s career rather than a historical dissection of it. It is not inaccurate, merely impressionistic. There is a clear link to Churchill, Pitt the Younger being the one man on whom the salvation of the country depends, as the scene where his temporary successor Addington is harassed by MPs shows. There is, also, the clearly designated American connection, it being of great importance to show that Britain at all times fights for the principles the United States was founded on and lives by. At the very beginning of the film we see Pitt the Elder, the Earl of Chatham, speaking in the House of Lords against the war with the Colonists, proclaiming: “You will never conquer America.” He refers the ideas of liberty, the language and religion that the two countries have in common. This is echoed later by the younger Pitt, when he denounces revolutionary and Napoleonic France as being inimicable to English ideas of liberty and wanting to impose its language and its irreligion on this country. That, in a way, is the summary of what Britain is fighting for: her language, her religion, her ideas of liberty. Unlike other war-time films, this one does not show the people en masse in a good light, taking its cue from Shakespeare and his fears of the mob. Individuals, like the two pugilists who support Pitt through thick and thin, or William Wilberforce (played by John Mills) who longs for peace but has to accept war, come out well. Even Fox offers to serve under Pitt when it becomes clear that nothing but all-out war will serve Napoleon’s purposes. But the people – oh the people are fickle. If there is a victory, they support Pitt. As soon as things go wrong, they throw bricks at his windows and rotten eggs at his carriage. One wonders whether this was a realistic picture of the mood in Britain in 1941 (without the bricks and the rotten eggs). 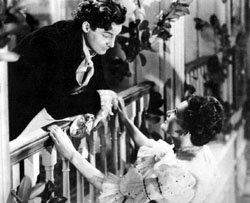 The film hinges on the great Robert Donat’s performance. Carol Reed had enticed him back to film-making because they both considered this to be important war work. He himself was of English, Polish and German descent, which accounts for the slightly odd surname but, like Leslie Howard, managed to play the quintessential English hero with no difficulty. In “The Young Mr Pitt” his performance is superb and all the film’s shortcomings are swallowed up in that. He plays the aged Earl of Chatham as well as Pitt the Younger, whom he takes through from his early political years, when the bouncy young man can barely control his elation at being made prime minister at the age of 24 and has pillow chases up and down the stairs with the young siblings of Lady Eleanor Eden with whom he is obviously in love, through the hard-working, hard-drinking dark days, to the triumph of his post-Trafalgar speech at the Guildhall. The shadow of his early death hangs over that event and Pitt’s defiant toasting of his friends with wine rather than the medication poured out to him by his doctor. As I have mentioned in a previous posting, Pitt the Younger is presented as a romantic hero, the man who sacrifices his personal happiness and his life to his country and the idea of liberty, which his country represents. The country’s liberty and that of its individual people, that is what Britain fought for in the Napoleonic Wars and that is what it was fighting for in 1941. A simple, comprehensible, and all-embracing idea. This is turning into a more serious experiment than predicted. I ought to have known that I could not do a blog of readable length on so many related subjects. “Night Train to Munich” is often described as almost a continuation of Hitchcock’s “The Lady Vanishes”, which also stars Margaret Lockwood. The Reed film had Rex Harrison instead of Michael Redgrave who had other commitments and revived the cricket-loving Charters and Caldicott as played by Basil Radford and Naunton Wayne. It is, of course, a truism among film critics (of whom Tory Historian is most definitely not one) that Alfred Hitchcock was one of the greatest and few can come up to his standard. Well, in this case, the truism is wrong. “The Lady Vanishes” is a delightful film, full of the usual Hitchcockian touches and also full of the man’s ineffable silliness. Plots? What plots? “The Lady Vanishes” takes place in a country that is vaguely Ruritanian, gives the impression of being Switzerland but is possibly Germany. Or not. This lack of precision or any worry about it diminishes the tension of the story. After all, it is only fairyland and the good will triumph while the bad will come to a no good end. “Night Train to Munich” is very different. It is timed and positioned precisely, taking place in the last few months before the outbreak of World War II, finishing in the train journey that takes place in the night of September 3, 1939 and a chase through Germany the following day, with a final escape to Switzerland. Briefly: the British manage to spirit out a Czech scientist, who is working on a development in arms manufacturing that will revolutionize warfare, just ahead of the invading Germans. But the Gestapo arrests his daughter as she is trying to reach the airport and sends her to an internment camp. Immediately, one must note two very precise and realistic aspects. When the Germans talk about Czech steel production being superlative and their need for the armaments manufacturing in Czechoslovakia, the film tells the truth. The Czechoslovakia of the late thirties was one of the best producers of arms in Europe and the Germans were fully aware of this. As they took the factories of Sudetenland over, they transferred some to Austria and used others in situ. Czech tanks and vehicles were invaluable in the invasion of Poland and, later, of the Soviet Union. Then there is the internment camp. The film was made in 1940 but already there is a depiction of the viciousness of the Nazi regime. Reed was so attentive to detail that he asked the advice of someone who had managed to get out of an internment camp and come to Britain. The daughter, Lockwood, manages to escape and join her father but they are both kidnapped by Gestapo agents. The second half of the film consists of the elegant but deadly British agent, Rex Harrison, trying to rescue them and bring them back to Britain. He is motivated largely by patriotism, a desperate desire to improve Britain’s chances in the war that is drawing ever closer, feelings of anger because he had, in his opinion, failed in his duty and, needless to say, growing love for the stunning Margaret Lockwood. There is, of course, a great deal of hokum but, also, some telling points. The film was released in June 1940 and was, possibly, not as successful as it should have been because of the timing. As Reed himself pointed out, it was a pre-Dunkirk film shown in the post-Dunkirk time. The mood had become darker and victory was no longer seen to be easy or, indeed, probable. Nevertheless, the propaganda must have been effective in trying to provide both a negative and a positive reason for fighting, that is, trying to explain what we are fighting against and what we are fighting for. The Nazis are not all spectacularly evil in this film, though there is a good deal of nastiness in the depiction of the internment camp. There are also wryly amusing moments when Nazi officers say things like: “This is very urgent as any day now Poland will provoke us into invading it in self-defence.” (There is a telling echo of this statement in the conversation William Pitt has with the French ambassador Talleyrand in “The Young Mr Pitt” about the French invasion of the Low Countries.) On the other hand, there is no obvious disdain for the Germans either. Some are stupid, dishonest, and even, brutal. But others are intelligent and, in their own way, patriotic. It is the system that has been imposed on their country, the system of lies, hatred and brutality, that is shown to be evil. There is also a reasonable indication that many Germans are dissatisfied with the Nazi regime and hanker after the freedom, which Britain represents. That is the crux of the positive argument: what we are fighting for, the most difficult of all things to define. When Margaret Lockwood manages to get to England from her internment camp, it is still summer and the war is merely looming. She talks happily of people laughing and feeling relaxed, unafraid. Well, one might say, they have not been occupied, unlike her own country, Czechoslovakia. But later, much emphasis is laid on the fact that the Nazis had been brainwashed, taught to repeat slogans; that they are no longer capable of thinking for themselves, unlike the British, who remain free and, therefore, ingenious in their ability to fight the enemy. The two somewhat bumbling but basically very decent cricket-lovers, Charters and Caldicott, represent England at her best. They are smart, though not too smart; courageous though not foolhardy; decent and honest but capable of all necessary deviousness when faced with the enemy. At one point they find themselves dressed in SS uniforms, marching reasonably well behind Rex Harrison, also in disguise. The values are conservative with a small ‘c’ – freedom, the right to live your life as you want to, decency, openness, courage and, if necessary, deviousness against the enemy. Above all, there is the determination not to give in (though this is matched by an equal determination on the other side). These are Anglospheric ideas, the link between British and American attitudes emphasised for propaganda purposes. Now, off with that first person singular and on with Tory Historian’s hat. Bank holiday week-end used to mean the Notting Hill Carnival to Tory Historian, who lived in that area long before it became really fashionable (some of it was even then but we don’t talk about that) and invaded by politicians, journalists and hangers-on. Nowadays, attitude to the Carnival tends to be: “been there, done that, might go again if there is a visitor”. Something else was called for. Luckily, the National Film Theatre (an excellent institution and the only cinema that shows films worth seeing) is having a two-month Carol Reed season. Sir Carol Reed, known chiefly for “The Third Man” and “The Fallen Idol” was one of this country’s greatest directors, versatile, imaginative and wonderfully skilled in his craft. His earlier films gave the most entrancing picture of middle-class England with all the good points and bad. Firsts for Tory Historian: the film of Priestley’s “Laburnum Grove”, an unexpectedly tense and humorous send-up of middle-class life in the London suburbs of the early thirties and “Kipps” in which Michael Redgrave portrays H. G. Wells’s draper’s assistant who goes on to greater things. During the war, Reed, like many others turned his attention to war work, commonly known as propaganda. He made a number of superb films as a civilian, later joining the Army Kinematographic Service, where he made official training films and such classics as “The Way Ahead”. In the immediate aftermath of the war he made some of the finest dark thrillers of which “The Third Man” is the greatest, going on to vast extravaganzas like “The Agony and the Ecstasy” and “Oliver”. On Bank Holiday week-end the NFT showed “Night Train to Munich” a spy thriller aimed at the American audiences as much as the British ones (Reed being one of the few British directors whose films were popular in the States), “The Young Mr Pitt” a biopic of the great Prime Minister and a seventeen-minute short, “A Letter from Home”, made under the auspices of the Ministry of Education for foreign consumption. Let me deal with the short film first. 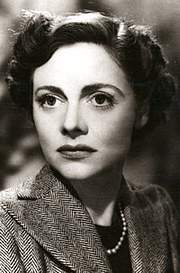 It featured a young and heart-breakingly beautiful Celia Johnson as a mother whose husband is at sea and children in New York, being looked after by an American family. Celia Johnson's own husband, Peter Fleming was away for the six years of the war. She sends the little ones a loving letter, describing her day, which is full of the “same old boring things”. The film shows the reality of those boring things, the nightly raids, the casualties, the difficulties of getting even the simplest meal together, sleeping in the shelter, learning to deal with incendiary bombs and, above all, the determined, unvanquishable spirit of Londoners. Made in 1941, it was intended to convince Americans of the reality of the hardships Britain was suffering from but also of the indomitability of the people. As the other two films, particularly “The Young Mr Pitt”, the short film emphasises the commonality of Britain and America – the war the former is fighting is for the ideas and principles espoused by the latter. These two, sometimes contradictory, sometimes complementary aims have continued to bedevil foreign policy decisions, in particular those made by the Conservative Party at various times. Being only half-way through Professor Black’s book Tory Historian is unable to say (but will do so on a future occasion) what his conclusions will be about the present day but the duality of aims has not disappeared simply because the Empire has gone and Britain’s defence and armament policy has reduced her to a minor player in the field. The question might be posed differently now: should political and diplomatic (as well as defence) discussions be aimed largely at Britain being involved in the European project of the new state, the European Union; or should greater emphasis be placed on close relations with the countries of the Anglosphere, which are over the blue water?